Travelling from or to Darwin? Planning to visit the Kimberley? ...and save at least 30%! Once you own a Destination guide you can request to download the latest, most up to date version any time. So if you are thinking of visiting other places in the coming years, get the guides now and save 30% or even 40% off the purchase price. Yes, I want to find out more about saving money with the package deals. No thanks, I am not interested. Take me straight to the checkout. Destination Top End is the second volume in the popular "Destination" adventure guides e-book series. It complements Destination Red Centre so that both guides together cover the whole of the Northern Territory. 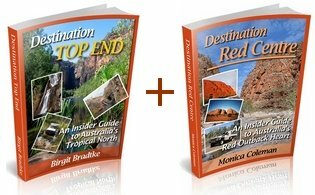 you save 30% on Destination Top End. where to find the most rugged and spectacular gorges, the most impressive bushwalks, the most popular fishing destinations (popular with the locals, that is!) and all those other local insider tips that my readers appreciate so much! 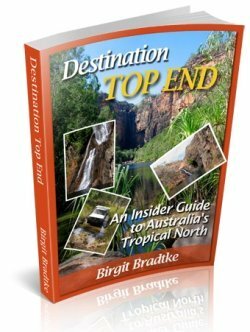 Find out more about Destination Top End. ... and take advantage of the best local insider advice available, now for the whole trip between Darwin and Alice Springs! saving money with the package deals. Destination Red Centre at the full price. 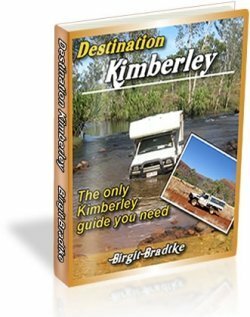 Destination Kimberley, the first volume in this popular series, should not even need an introduction. First published over 10 years ago and continuously updated, it is well known and well loved, often referred to as "the Bible". It also covers the Tanami Road! After all, how else would you get from the Red Centre directly to the Kimberley? 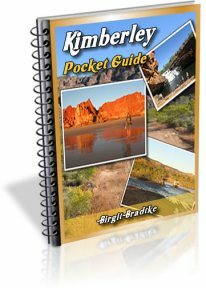 Includes the most detailed guide to the Gibb River Road available anywhere! you can save 30% or even 40% on Destination Kimberley. 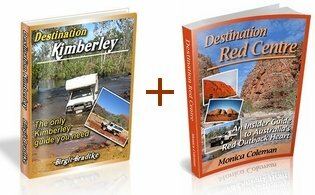 Destination Kimberley includes the most detailed guide to the Gibb River Road and Mitchell Plateau available anywhere. It also covers the Tanami Road all the way from Halls Creek to Alice Springs. Find all the information you need about permits, licenses, passes, entry fees... What you need, how much it costs, when you need to organise it, and how and where you can do so. ... or buy all three guides together to take advantage of the additional 40% on the third guide! Yes, I want to save some money, please show me all the package deals. 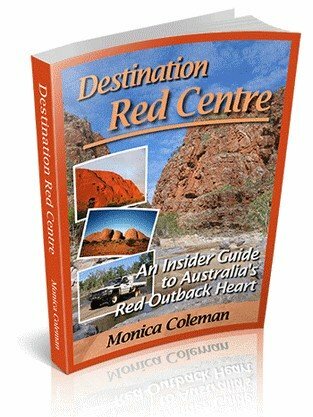 Thanks for offering, but really, I am happy with just Destination Red Centre.